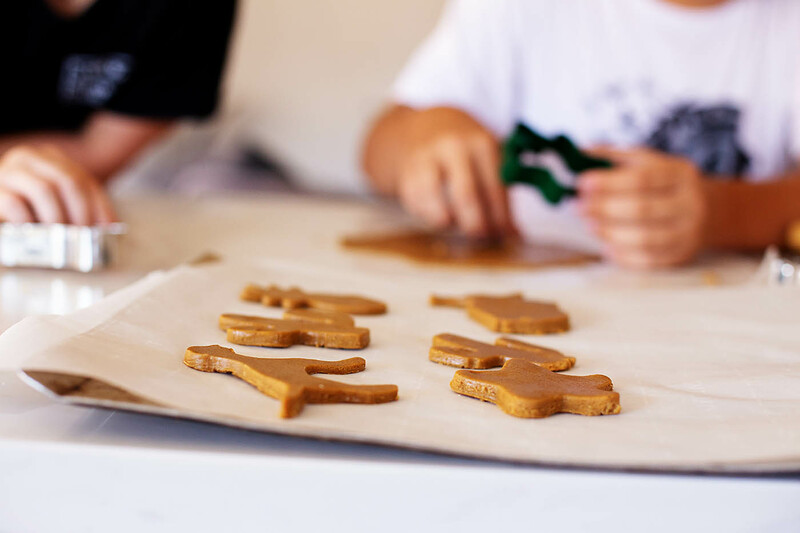 One of my favorite Fall/Holiday traditions is to make gluten-free gingerbread cookies with the boys. 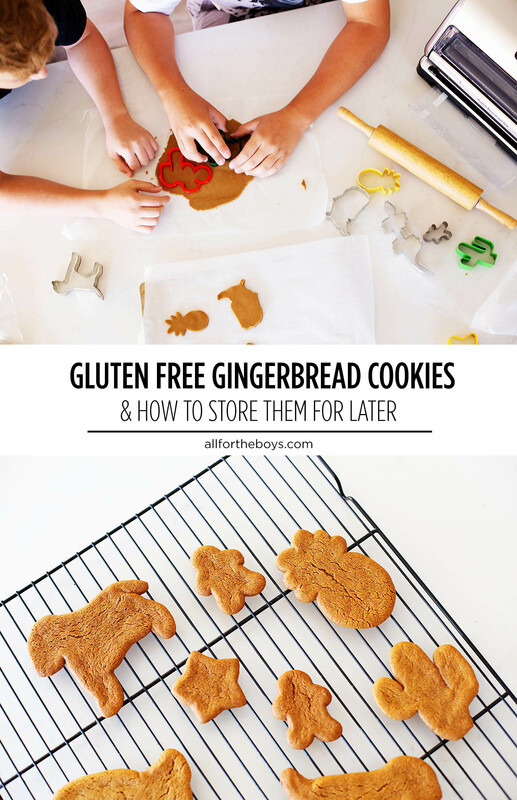 We switched to making gluten-free cookies almost 10 years ago now but I think we’d use this recipe even if we didn’t need to. These cookies are full of flavor and always such a great texture. 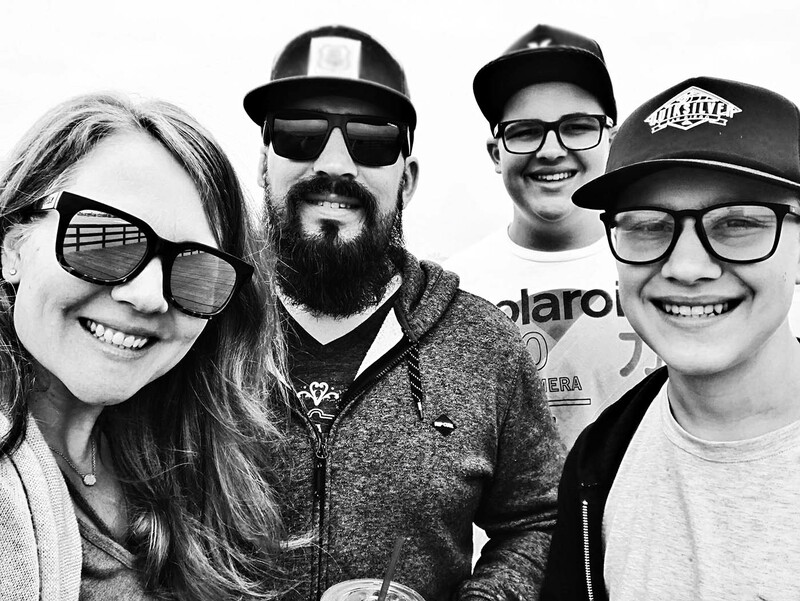 Now that both boys are in high school, our schedules are a bit more hectic. 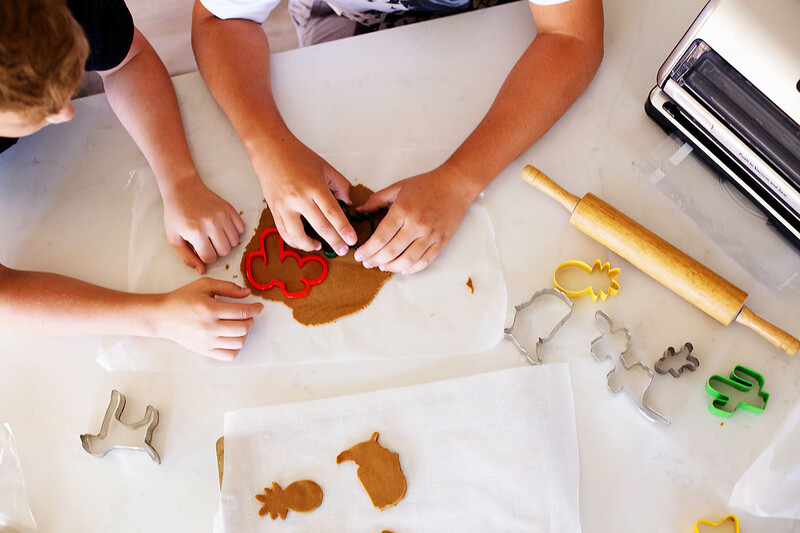 After looking over our weekends to come I saw that we had a free weekend and I thought I’d take advantage of it and make our gingerbread cookies ahead of time and store them to decorate & eat later. 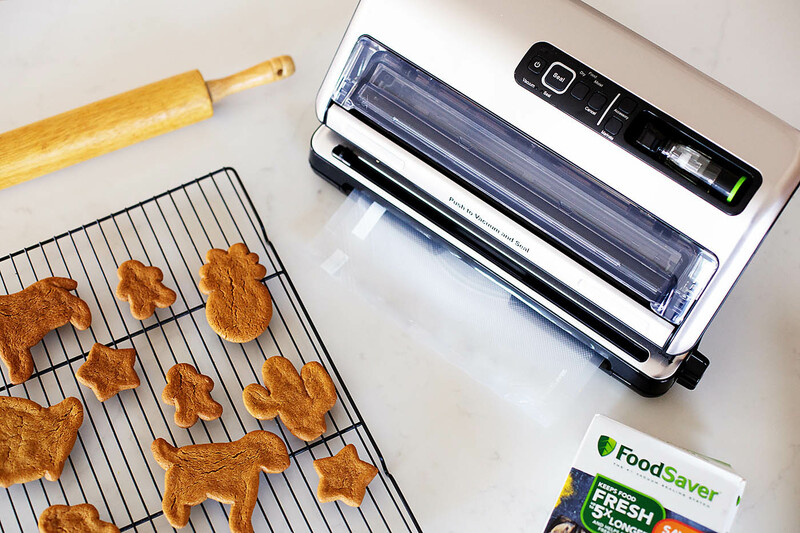 Keep reading to grab our recipe, see why we love the FoodSaver® FM 5330 at Bed Bath & Beyond, & learn how to enter for a chance to win a weekend for two to NYC! We have made these cookies every year for the past almost 10 years now I think! 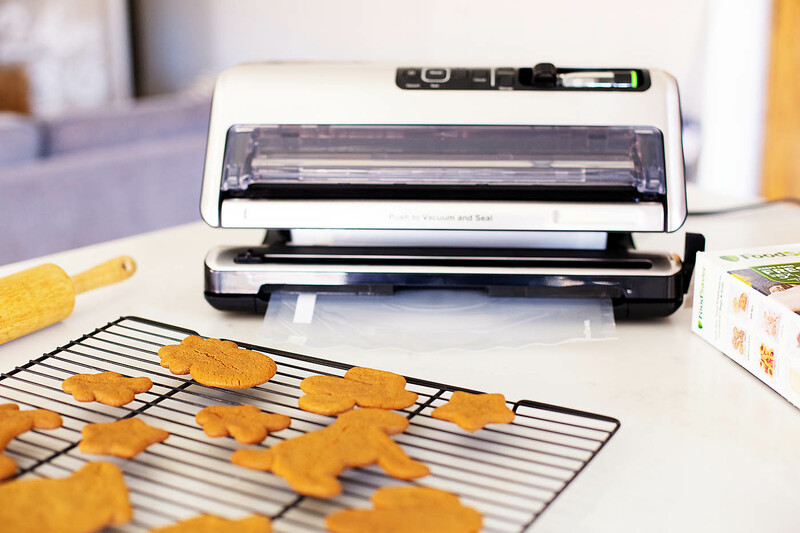 We all love the flavor, they can be a bit chewy or crispy depending on how thick you roll them, and they store really well with our FoodSaver® System. 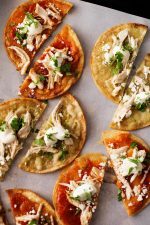 Instead of regular flour, we use white rice flour. I like to stock up on Thai Rice Flour before the holidays because I know we’ll make this recipe a few times! 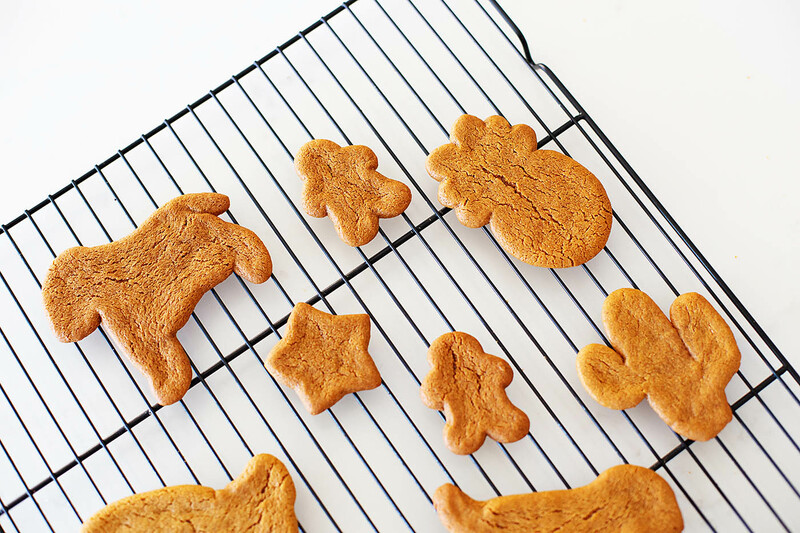 These gingerbread cookies are full of flavor and perfect for eating plain or frosted! Stir rice flour, baking soda, salt, and spices together in a bowl. In another bowl cream butter and sugars. Add egg and molasses to butter/sugar mixture and mix until combined. Slowly add flour mixture and mix well. If it looks crumbly just mix it at the end by hand. Refrigerate dough for about an hour or leave overnight. 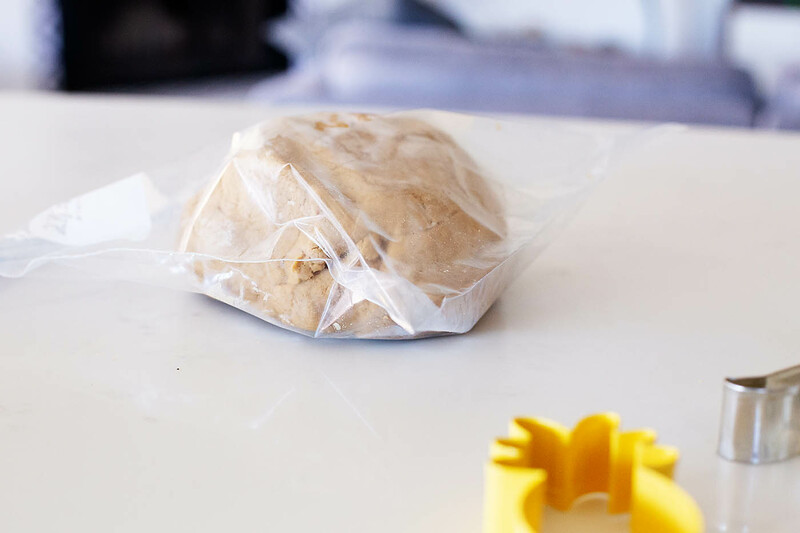 Remove dough from refrigerator and allow to sit out for a few minutes. If it still seems hard just break it up into smaller pieces and work it in your hands to warm it up just a bit. 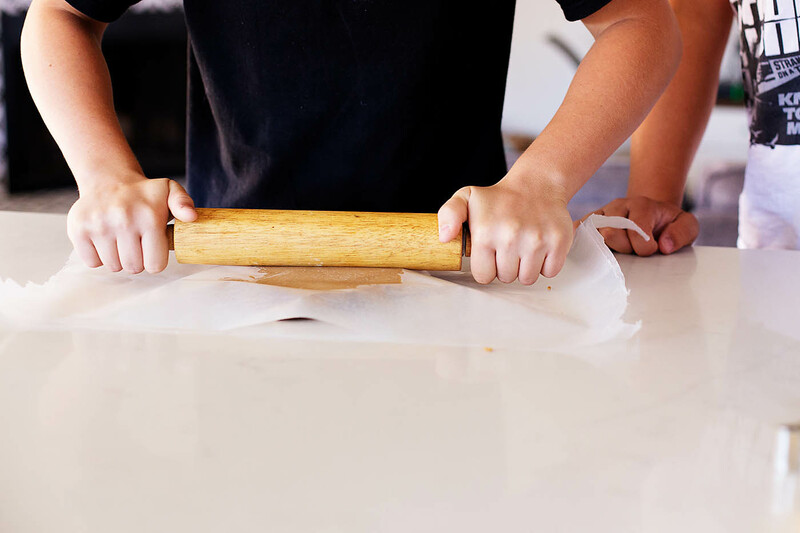 Take about ½ the dough and roll it out between 2 sheets of wax paper until ¼" - ½" thick. The thicker the dough, the more the cookies will puff up. 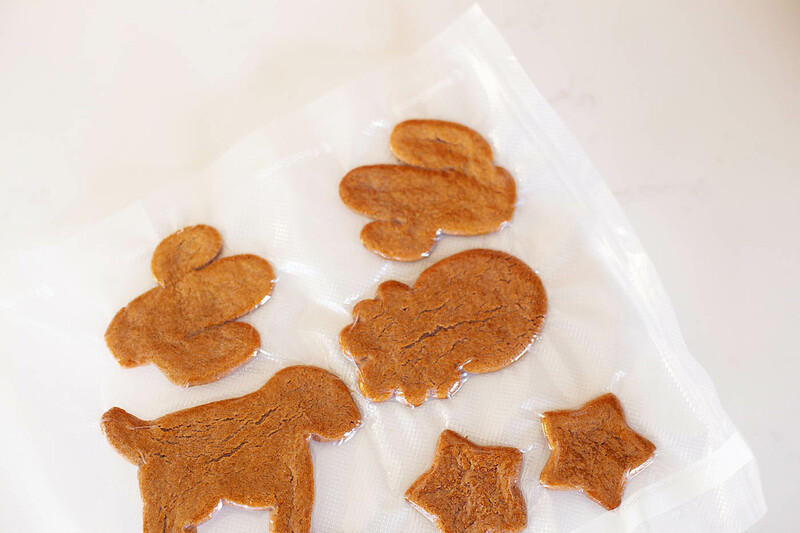 Cut with cookie cutters and place on parchment lined cookie sheet. Bake for 9-12 minutes or until edges just start to turn slightly darker or until desired doneness. The longer they bake the crisper they'll be. Allow to cool before transferring them to a wire rack. 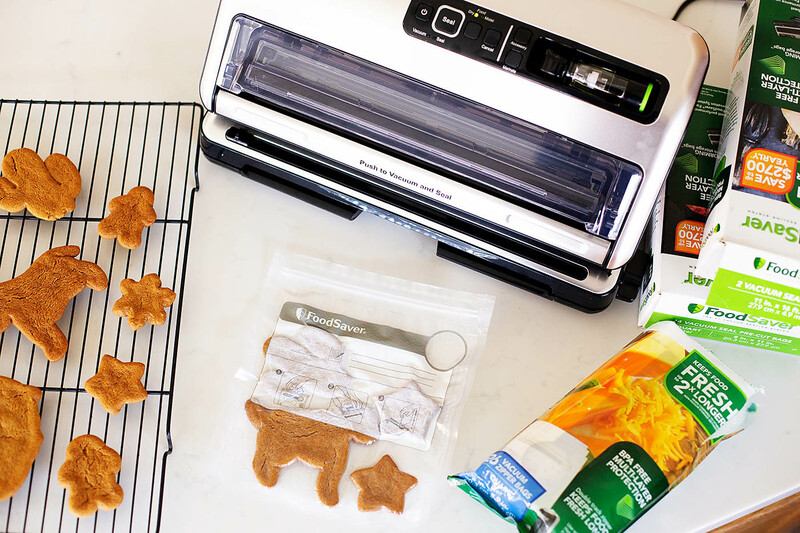 Enjoy plain or frosted/iced with your favorite recipe (or store bought icing). 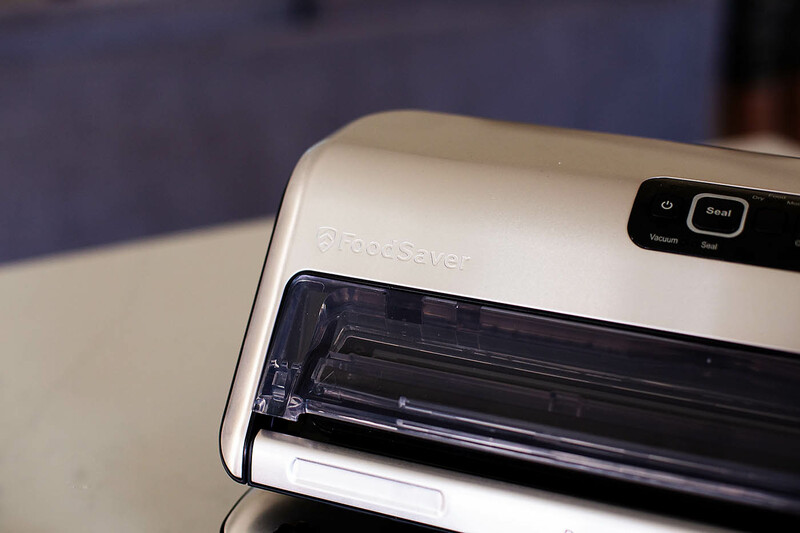 As I mentioned, we recently got a FoodSaver® FM 5330 at Bed Bath & Beyond along with some FoodSaver® Heat-Seal Bags and Rolls at Bed Bath & Beyond. 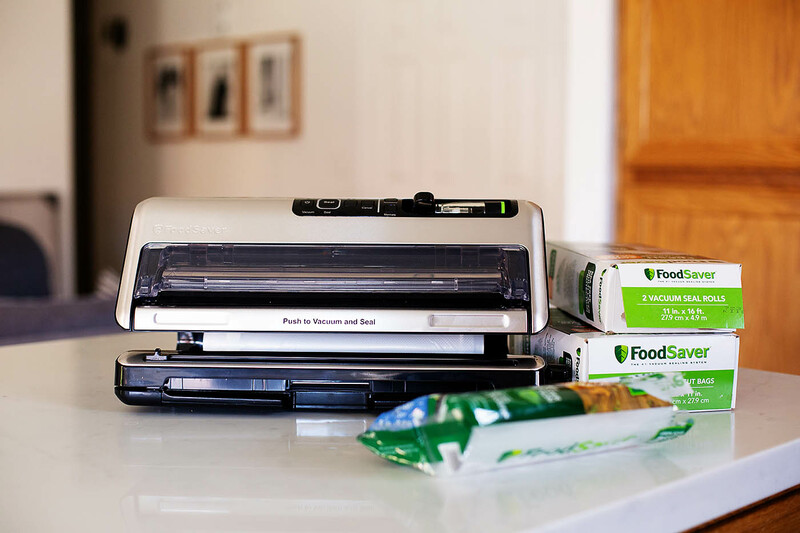 We’ve been wanting a vacuum sealer and FoodSaver® is the number 1 Vacuum Sealing solution in the US. 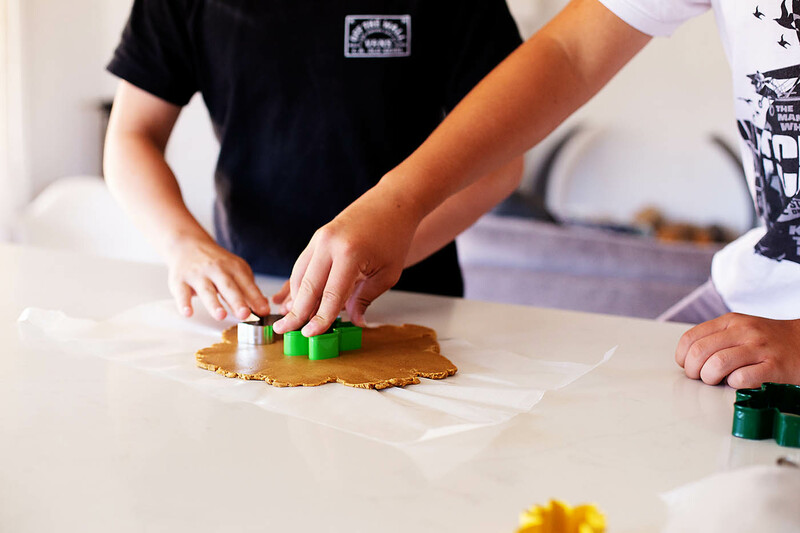 It keeps food fresh for up to 5x longer than ordinary storage methods like zipper bags, foil, plastic wrap, and containers, and helps prevent freezer burn and we definitely needed something that would keep our favorite cookies fresh until we are ready to frost them! 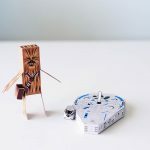 I thought I’d share here in case you’ve been shopping around for one like us. 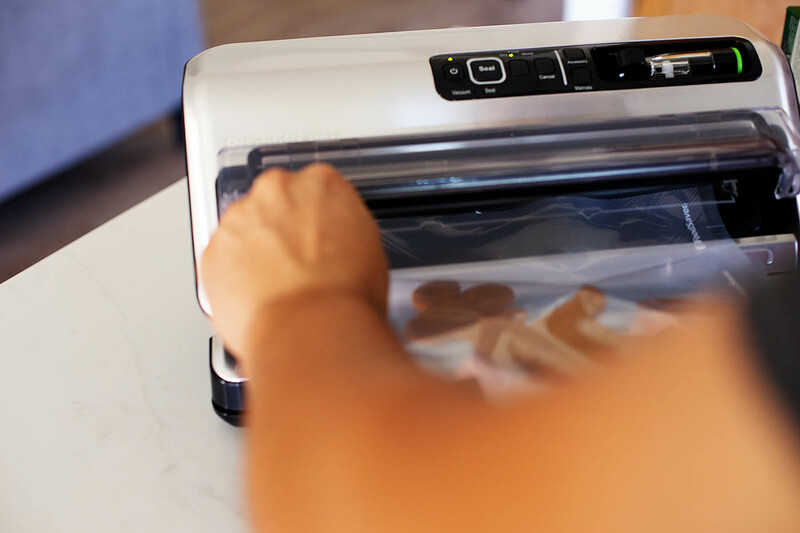 We went with the FoodSaver® Vacuum Sealer FM5330 because it can keep food fresh in less time with fewer steps (compared to FoodSaver V4440 Models). The easier the better right?! 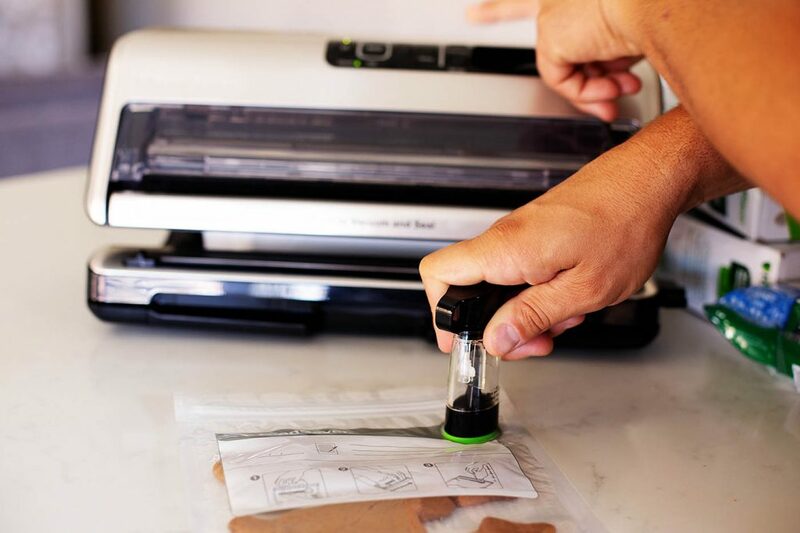 There are vacuum seal rolls where you can make your own sizes or pre-made bags. 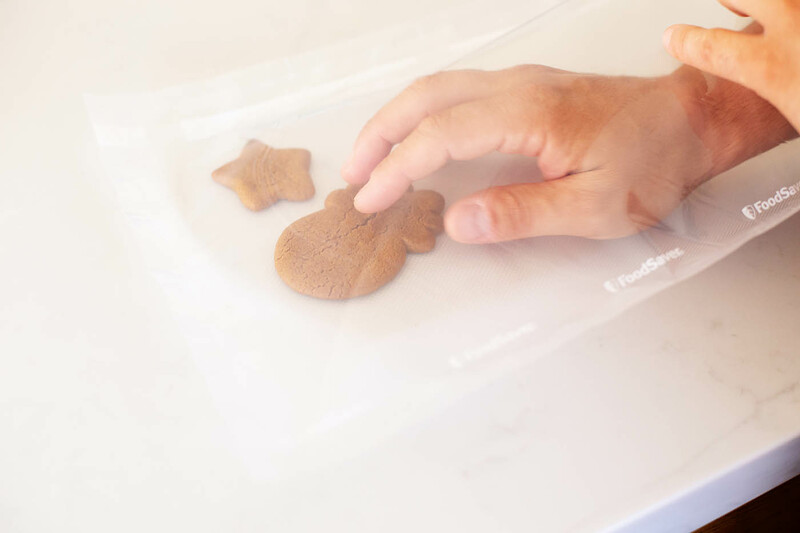 The vacuum-seal bags are multi-layer, BPA-free, and flexible enough to hug food and seal effectively without gaps. 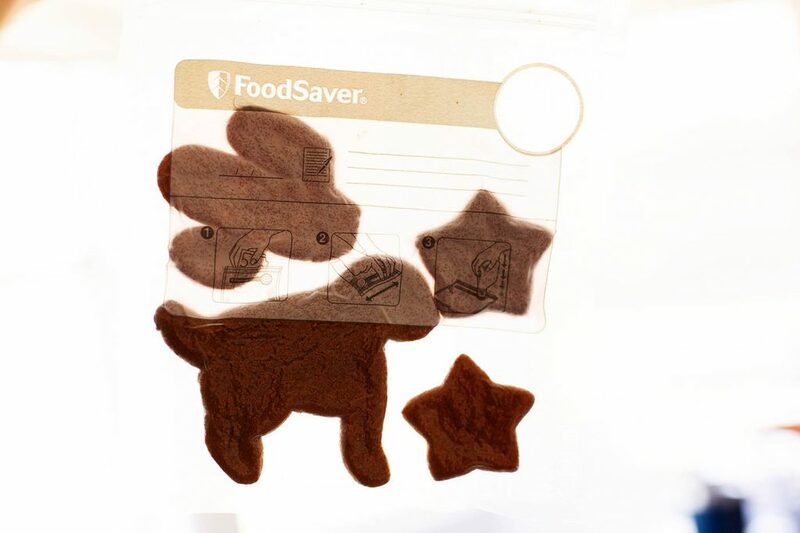 They are best for long-term freezer storage, blocking out air and helping to prevent freezer burn. and finally, push and release the vacuum seal bar. When the red seal light turns off, the process is complete and the food is ready for storage! 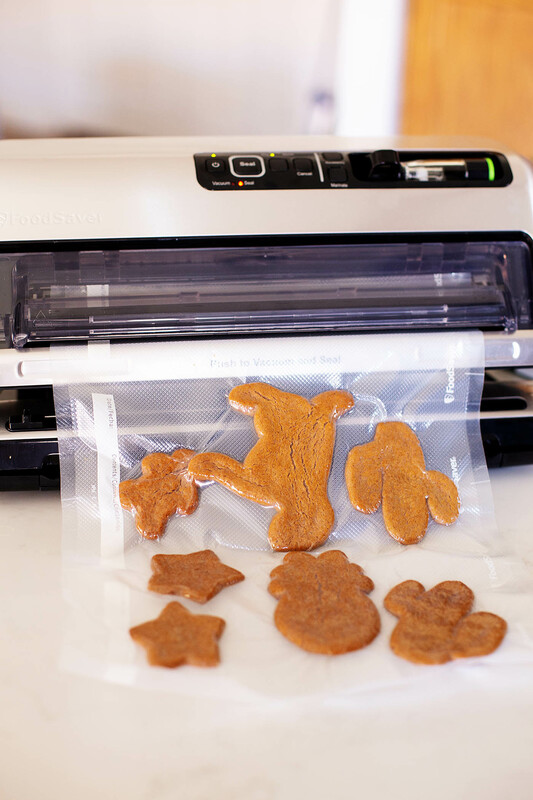 The retractable handheld sealer can be used to seal the zipper bags. 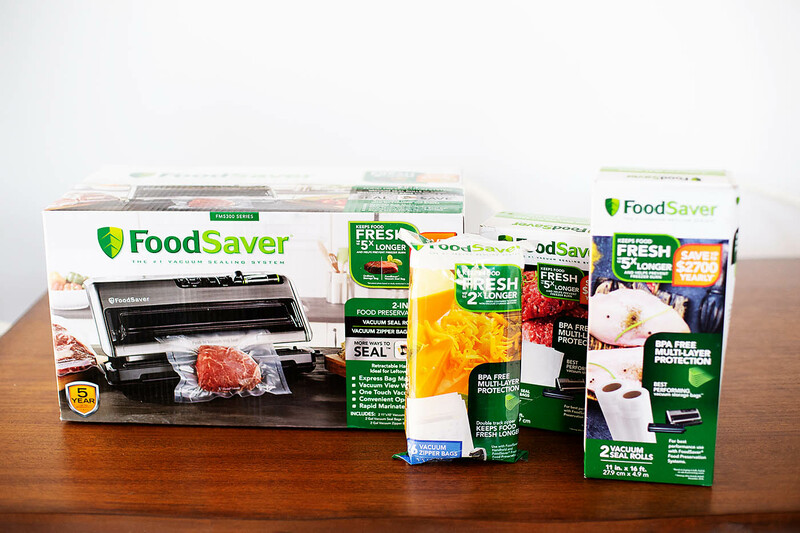 We love our whole FoodSaver® System that includes vacuum seal bags and rolls, vacuum zipper bags and even containers designed to work together with vacuum sealers for optimal performance. 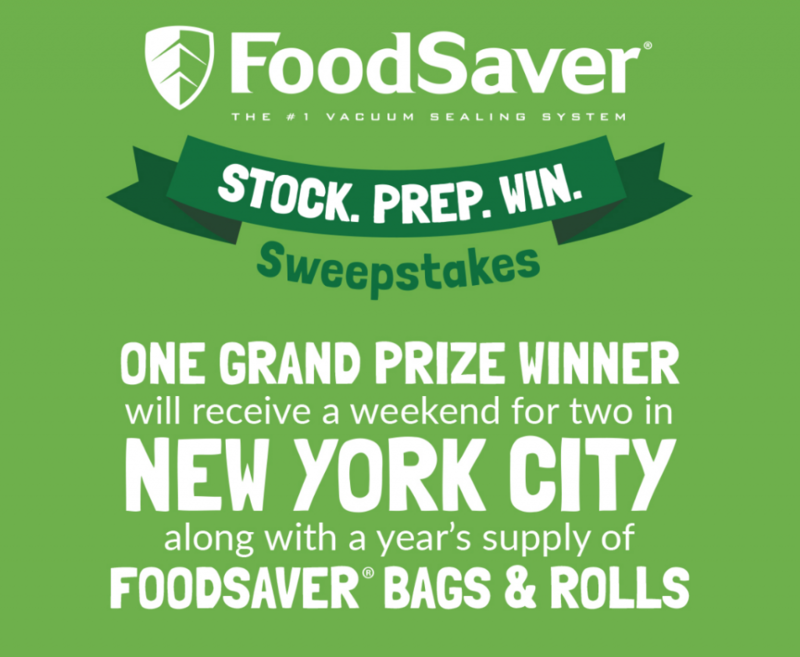 Stocking up with FoodSaver® bags and rolls this harvest and holiday season has its perks, every bags and rolls purchase gets you closer to NYC! It is running from 9/23/18 – 10/21/18 so go here or click the image to enter for a chance! 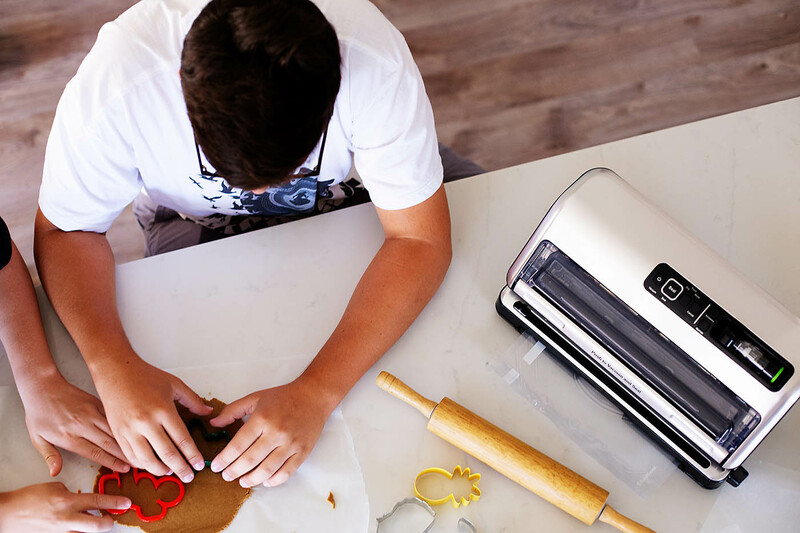 Do you get creative when baking for the holidays with your kids? 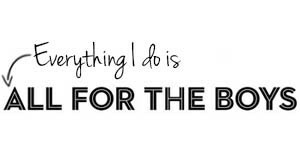 Any other advice on fitting it in when everyone’s schedules are filling up?! 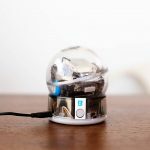 Check Out the Latest Robot from Sphero – Sphero BOLT!